This is the first installment in a three-part series featuring a case study in large scale culture transformation. Between 2007 and 2010, the City of Ottawa, in the Province of Ontario, Canada, successfully developed and implemented a strategy to help foster a culture of Service Excellence (SE) throughout all city services and operations. Serving as the primary team leading this effort, we were the Director of OD and Performance (Gray), the Deputy City Manager for Operations (Kanellakos), and an external consultant (Patwell). Given that more than 70% of large-scale organizational change initiatives fail, this case study offers some valuable insights that can help OD profession­als become more successful leading and managing change initiatives. We know that achieving a significant shift in culture requires a special “magic.” The OD initiative must be well planned yet open to constant adjustment, and designed to motivate people to embrace change. Leaders, managers, and employees need to be highly committed and must learn to work in alignment with each other, under­standing and practicing the same vision and organizational values. We discovered that the special magic of culture change lies in perceiving it not as a single transformation but rather as a series of small shifts occurring over time among the many groups of stake­holders. In this article, we will share our story, focusing not on the theoretical underpinnings of our design but on the practical steps we took to create a positive environment for change, to develop lead­ers and managers, and to motivate every city employee to adopt the mindset and practices of SE. We will provide a model of Service Excellence, a description of several innovative approaches we implemented to drive many culture shifts, and a discussion of the evaluation framework we established to assess the impact. These strategies can be incorporated into any organization’s change journey that requires the engage­ment and collaboration of a critical mass of employees. In 2001, the new City of Ottawa was cre­ated through an amalgamation of 11 local municipalities. The enlarged municipal­ity now counts 912,000 residents and employs more than 19,000. Ottawa is one of the most distinctive and successful cit­ies in Canada. Because of its rapid population growth, and due to public pressures to be more accountable, cost effective, and responsive to its citizens’ needs, the City’s Council embarked in early 2007 on devel­oping a strategy to implement the concept of SE into all its functions and operations. Senior city managers began by conducting benchmarking tours and researching best practices in SE among both public and private sector organizations and internally to help shape their plans. The Service Excellence Framework is based on the work of Heintzman and Marson’s (2005) public sector value chain. In essence, this concept posits that a public sector service delivery organization can develop and implement a broad strategy to ensure that the people who use gov­ernment services are satisfied with those services, and that the employees who deliver those services are highly engaged in their work. SE is effectively a commit­ment to creating a positive employee/ customer experience with each and every transaction. The basic model of Service Excel­lence in the public sector incorporates three elements: 1) employee engagement + 2) customer satisfaction that leads to 3) trust and confidence. The City of Ottawa modified this model by adding “operational excellence” to reflect the realities of munic­ipal government. Their rationale was that if a government does not have the right processes and services, it does not matter how much one invests in training employ­ees or satisfying customers, you cannot truly achieve Service Excellence without operational excellence. 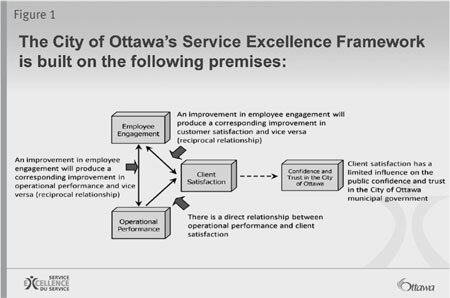 Figure 1 depicts how the City of Ottawa defined its Service Excellence Framework. The diagram shows an interrelationship between the four variables—employee engagement, operational performance, client satisfaction, and confidence and trust in the City of Ottawa—and the premises upon which each one is built. Identify the drivers that influence each of the variables of the value chain. Measure each of the drivers to deter­mine a baseline. Identify improvement strategies and prioritize them based on quantitative measurement of the drivers. Implement the improvement strate­gies, resulting in service improvement results. 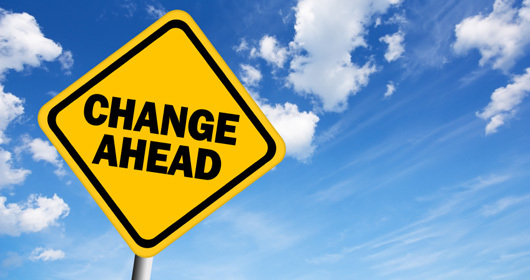 Maintain a continual approach and measurement strategy to create sus­tained change. As we evaluated the steps to implement SE in Ottawa, it was clear that the culture shift would require extensive leadership buy-in and employee engagement. This would entail a large-scale organizational realign­ment, including restructuring jobs and roles, redefining the role of leadership, and raising employee engagement at all levels. We had to shift the city’s culture so that every employee would have the customer in his or her line of sight. We were keenly aware that culture change often engenders resistance. We would need to create a strong perception of authenticity and transparency to ensure that people accepted SE as more than just an OD or HR training exercise. We had to embed the concepts of SE into the city government culture to make it sustainable over the long-term. We also had to show sensitivity to the existing organizational context. City of Ottawa employees already had a high level of pride in their work. They regarded themselves as providing quality service, especially given the sometimes con­flicting politics of government and the tight restrictions they faced on budgets, resources, and available technology. We had to engage employees in adopting the concepts of SE while honoring and build­ing on their pride for their work and previ­ous successes. Another challenge we faced was that the City government was large and diverse. Operations were spread out amongst 18 branches and shared services. To account for the tremendous variations among them in function and character, we realized that one of our guiding principles had to be that we could not universally define SE for every branch. Each one needed to understand and implement SE according to the nature of its work and its customers. Given that the City’s Executive Council and Senior Management Committee had been involved in developing the SE model, most senior City Managers were already conver­sant with the concepts of SE. Our first goal was, therefore, to extend awareness of SE down to the city’s middle (line) managers. We began by conducting a one-day Manag­ers Forum involving more than 300 depart­ment managers. This was the first time this level of management had an opportunity to speak with the senior City Managers about SE. We designed the event to maximize dialogue, giving department managers ample opportunity to ask questions about what SE would mean in the context of their own work. We then asked the managers to return to their teams to discuss SE and begin thinking about their own definition of it and how it might impact their depart­ments and clients. They were not asked to begin making any changes, simply to envision what shape SE would take in their departments. In the context of our theory on the magic of culture shifts, this Manag­ers Forum represented the first small but necessary shift. Gather both quantitative and qualitative data that would help us develop a clear picture of the current performance levels for each of the four components of the SE framework. We would use surveys and interviews to collect the data. Involve managers and employees in the analysis of the data and then in the creation and implementation of specific improvement plans. This deci­sion reflected our conviction that every branch of government had to define its own goals for SE in the context of its current operations. Distinguish between corporate-wide and departmental improvement efforts. This was likewise an important factor in our sensitivity to initial conditions because implementing SE could not result in holding city employees respon­sible for improvements beyond their control. We needed to draw a bright line between what SE entailed at the corpo­rate level versus what it would mean for each department. Design improvement projects using an iterative and incremental approach. This decision reflected again our sense that culture shifts require many small movements among stakeholders across the 18 branches. We would need to orchestrate numerous efforts simulta­neously, each operating independently at its own speed. This led us to recog­nize that we had to begin assembling a larger group of Organizational Develop­ment (OD) professionals to act as inter­nal consultants, coaches, facilitators, and a task force who would work closely with branches and departments to help coordinate the SE efforts. Provide a coordinating mechanism through the Organizational Develop­ment and Performance group (ODP) to bring data from all initiatives together and create a unified strategy and evalua­tion process. Continue to Part Two now. Beverley Patwell, MA, CHRP, is President of Patwell Consulting Inc. She is an organizational development practitioner with over 25 years experience. In addition to her consulting practice she teaches in Mendoza College’s Executive Leadership Program at the University of Notre Dame and American University’s Masters in Organizational Development. She is an associate coach with the Niagara Institute and co-author with Edith Whitfield Seashore, of Triple Impact Coaching: Use of Self in the Coaching Process. She can be reached at bpatwell@patwellconsulting.com. Steve Kanellakos, MPA, is the Deputy City Manager of City Operations at the City of Ottawa. In this role, he is responsible for Community and Social Services, Emergency and Protective Services, Parks, Recreation and Cultural Services, Public Works, Public Health, Corporate Communications, Human Resources, Information Technology Services, and Organizational Development and Performance. He can be reached at Steve.kanellakos@ottawa.ca. Donna Gray, Director of Organizational Development and Performance Department at the City of Ottawa, has over 19 years of experience with the City of Ottawa and is responsible for organizational development, corpo­rate planning, performance management, corporate policy administration, strategic community and client initiatives, corporate project management, and the corporate implementation of the Accessibility for Ontarians with Disabilities Act. She oversees the delivery of services to citizens through the 311 Contact Centre and the seven Client Service Centres. She can be reached at Donna.gray@ottawa.ca. Where can HR have the most impact on innovation?